The Nokia 3310 was earlier made a comeback at the ongoing Mobile World Congress (2017) along with Nokia 3,5 and 6 android smartphones. Soon after the modern avatar of old classic was launched, a luxury version of the phone has made it to the market. 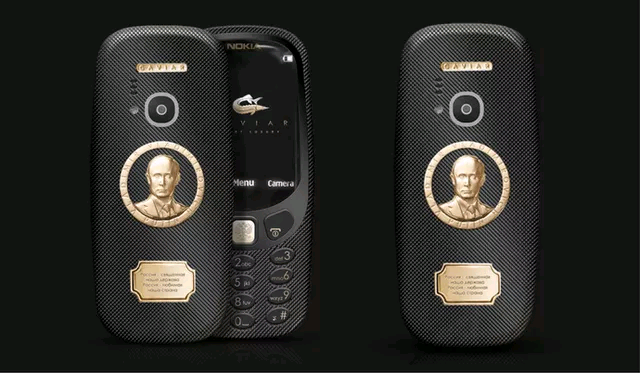 Nokia 3310 Supremo Putin has been inspired by Russian President Vladimir Putin. The phone has been launched by luxury smartphones manufacturer named Caviar which also manufactures Apple iPhone luxury versions. 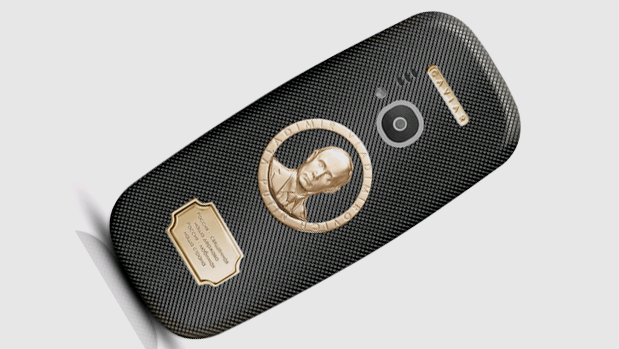 The phone features a special gold plated portrait of Vladimir Putin on the back and also features a gold seal which quotes lines from Russia's National Anthem. The front button on the phone is also gold plated featuring Russian coat of arms.